Is This New, Or Has It Been There All Along? 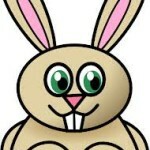 Burningman.com offers a very useful newsletter called “The Jack Rabbit Speaks“. It is about all things Burning Man and a must-read for anyone headed to Black Rock City. Today we discovered a feature called “What We’re Listening To” which provides suggested musical accompaniment while reading the newsletter.